The National Maritime Museum has a number of historic buildings available to hire for private and corporate events in a unique and beautiful setting in Greenwich, London. 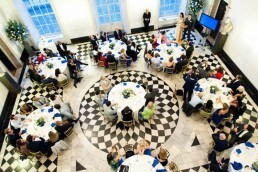 The modern spaces within the National Maritime Museum itself are perfect for corporate entertaining on a large scale. 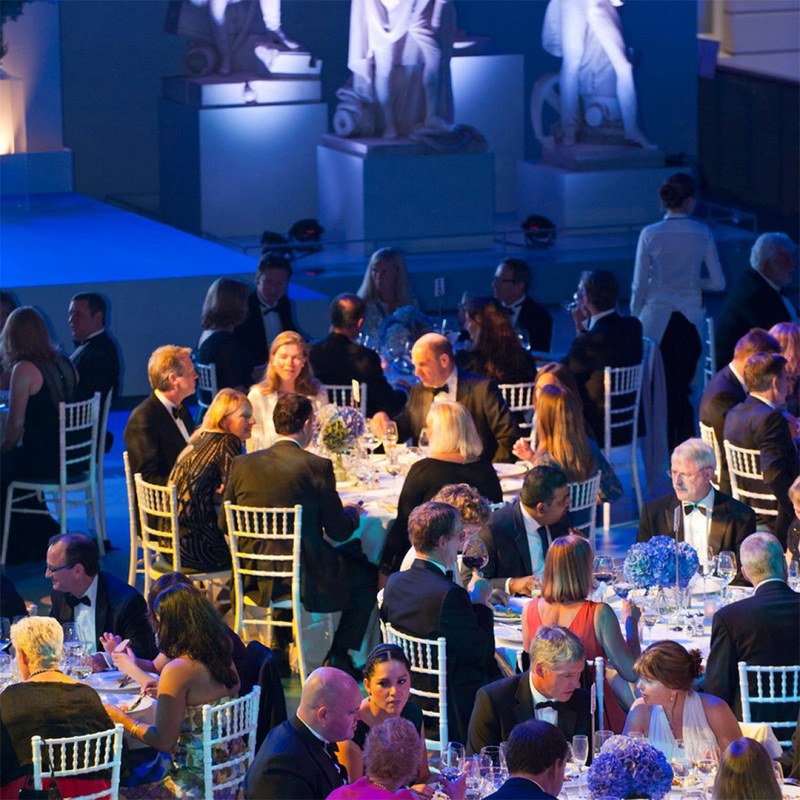 An ideal venue for gala dinners and award ceremonies, the Upper Deck is a dramatic glass-roofed mezzanine gallery, situated at the heart of the Museum. This stunning space has been recently redeveloped and is now home to over 400 of the Museum’s most spectacular gold, silver and brass objects – many of which have never been on display before. The ‘streets’, surrounding the Upper Deck are perfect for hosting pre-dinner drinks receptions and should the weather permit then there is also the opportunity to enjoy pre-dinner drinks on the colonnades that have wonderful views of Greenwich Royal Park, the Old Royal Naval College and Canary Wharf.